Does Judge Rudolph Randa Have a Conflict in the Scott Walker Case? His judicial assistant is married to a top lawyer for Walker’s gubernatorial campaign. On Wednesday, US District Judge Rudolph Randa issued a ruling halting an investigation into alleged illegal coordination between the conservative political group Wisconsin Club for Growth and the campaign of Governor Scott Walker. The ruling was immediately dubbed “extraordinary” by legal experts, not least because not only did Randa stop a state investigation into alleged coordination, he ordered that the evidence collected so far be destroyed—a move that was immediately reversed by a federal appeals court. Interestingly, it turns out that Randa’s judicial assistant, Cary Biskupic, is married to a top lawyer for Walker’s campaign, which raises potential concerns about impropriety. The case revolves around a state investigation into whether the Wisconsin Club for Growth illegally coordinated its campaign funds with Friends of Scott Walker, the governor’s campaign arm, in 2012. That investigation has been ongoing for months, and has produced raids of several WCFG officials. One of WCFG’s directors, Eric O’Keefe, sued the state attorneys conducting the investigation and demanded it be halted, as it infringed upon his First Amendment rights. Randa sided with O’Keefe in his decision Wednesday. 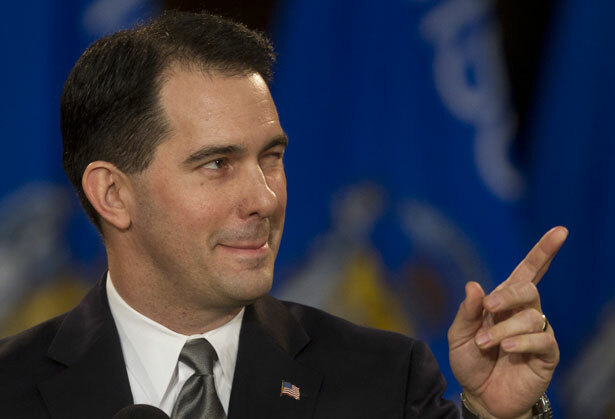 Campaign finance statements show that Friends of Scott Walker paid Steven Biskupic’s law firm $86,000 in legal fees. Moreover, Biskupic has been intimately involved in this probe—court papers revealed that in February, Biskupic was named as an attorney in a state case challenging the investigation into illegal coordination. Steven Biskupic is married to Cary Biskupic, who is listed as a judicial assistant to Judge Randa on the US District Court’s website. The Nation confirmed her current employment there by phone on Thursday. Legal experts were divided on the nature of the impropriety here—if there is any. But Donald Downs, a professor of political science and law at the University of Wisconsin–Madison, said that while no clear code of conduct was broken, the question of whether Randa ever discussed the case with his judicial assistant—who would almost surely have intimate knowledge of it—was notable. “I don’t see a clear violation, but I do think it’s something the judge should have considered in the case,” Downs said.